Thank you to Porch for sponsoring this Thanksgiving Home Hop! Be sure to scroll down to visit the other bloggers on this tour. As always, text and opinions are my own. No matter what time of year it is, fostering gratitude is a good idea. I do love the extra excuse this month provides to do just that. And when Porch challenged us to create a Thanksgiving themed project for less than $30, I decided a thankful tree would fit the bill. It was so easy to make, and it is the perfect little project for Thanksgiving Day. Put it near the front door and have plenty of extra leaves and clothespins so your guests can add their own thank you leaves to the tree. I already had the leaf punch and mini clothespins from my Thanksgiving advent calendar. While I still love that, it doesn’t really work for guests who are visiting for Thanksgiving. This little Thankful tree can be populated all throughout the month by you and your family and added to by your visitors on the day of. If you happen to find pretty berry branches in your yard (or your friendly neighbor’s 😉 ), you can strip them off their leaves. Then attach your real or faux berry branches to your dead stick using floral wire. The thankful leaves are just as simple as they look; punch them out and clothespin them on. Be sure to visit the other participants in today’s $30 Thanksgiving Challenge, starting with East Coast Creative. And have a very happy Thanksgiving. What a lovely idea and a great yearly tradition to start! Absolutely beautiful, Rachel! Such a lovely simple precious idea!! 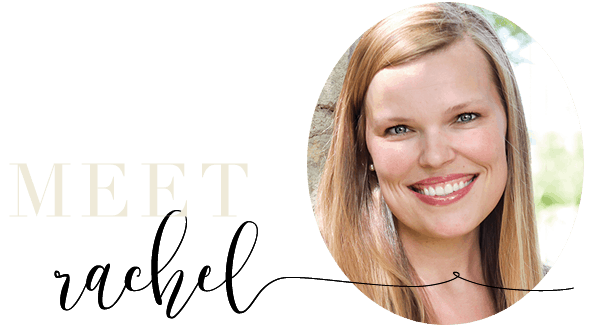 This is such a beautiful idea, Rachel… just like you! I’ve pinned this for next year. LOVE it… and you! Hugs! What a great idea to do for the holidays. This will always be a wonderful family tradition and memories for your family.